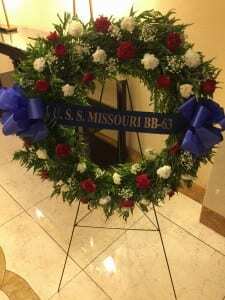 The USS Missouri BB-63 Association held their annual reunion from September 7-11, 2016 in Washington DC at the Sheraton Pentagon City Hotel. The reunion kicked off on Wednesday with registration and free time to browse the ship store or swap stories in the hospitality room. 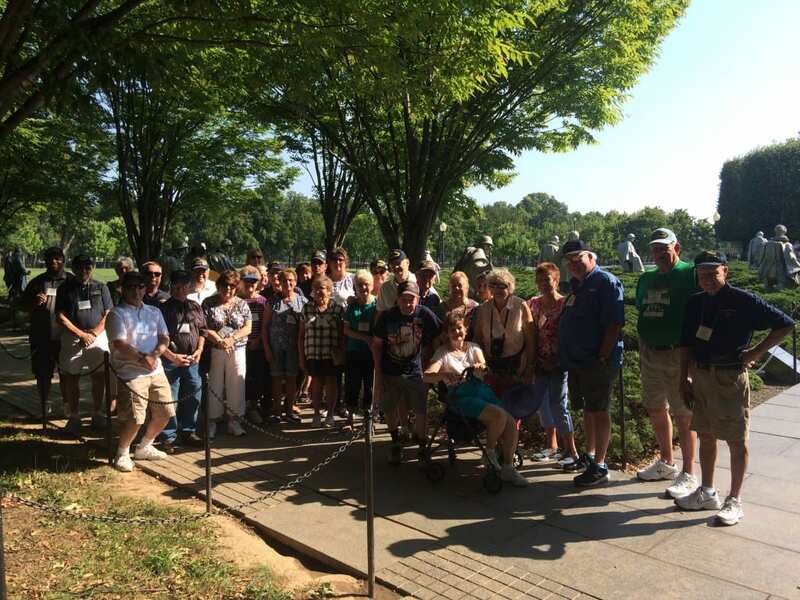 On Thursday, attendees saw the sites of Washington on a Memorial Tour. The driving tour included a guided history of the nation’s War Memorials with stops at the Lincoln Memorial, Korean War Memorial, Vietnam War Memorial, and Naval Heritage Center, built to honor the sailors of the U.S. Navy. The group had lunch at Ronald Reagan Building and International Trade Center, which is the largest building (3.1 million square feet) in Washington, DC. The group headed to Annapolis, MD on Friday morning. Starting by spending time and eating lunch at one of the many dockside restaurants along the waterfront area of Annapolis. 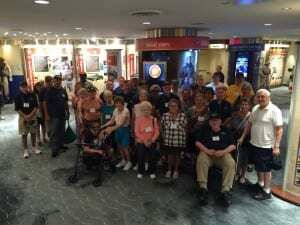 After lunch, attendees had a special Military Reunion tour of the United States Naval Academy. Beginning at the Academy Visitors Center for a warm welcome and slide presentation, the group made their way through the grounds enjoying a personalized walking tour. Stops on the tour included the chapel, John Paul Jones Crypt, and Bancroft Hall. On Friday evening, the group headed up to the 16th floor of the Sheraton Pentagon City to enjoy their annual Beer Bash. A keg of Sam Adams was provided along with some warm cookies, and music – best of all was the beautiful view of the Washington DC skyline. On Saturday morning, the association’s members joined together for their Executive Committee Meeting and General Meeting before heading to the Kennedy Center to catch a performance of Shear Madness that evening. Sunday, September 11th began with a moving Memorial Service in the Stars Ballroom on the 16th floor of the Sheraton Pentagon City overlooking the Pentagon and Air Force Memorial. That evening wrapped up the reunion with the group’s Banquet Dinner.